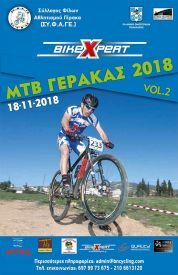 "The conception of ​​"Bike Odyssey" begun with two people, Makrigiannis Christos and Spagouros Alkiviadis, who have a long course with mountain biking. 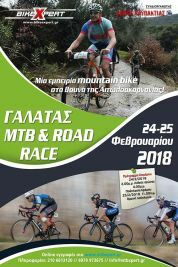 For this vision to come to life, Bike Expert, supervised by Makrigiannis Christos, contributes with the organization of Bike Odyssey and set Spagouros Alkiviadis as a consultant for the completion of the race in the best way possible. Every year, both of them are in front of the starting line of "Bike Odyssey" to welcome and prepare all athletes for this challenging race." As an athlete he has been involved in cycling, climbing, trail running and enduro. 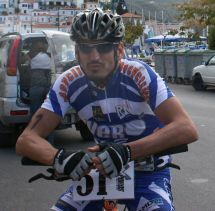 His passion for cycling led him to take part in many athletic events in Greece and internationally. He has participated in many races in America, athletic events such as «Ride For Roses" (charity event in Texas-organized by Lance Armstrong Foundation) and races in Europe (such as the "JEANTEX Bike Transalp" - 8 days cross the Alps). These are some of the highlights of his - over decade- involvement in sport. In addition, except from managing the Bike Expert and the Bike Odyssey, he is also the founder of the B&N Cycling website, whose B&N Cycling Team is actively involved in cycling, running, multisports and is also a member of the SY.F.A.GE. 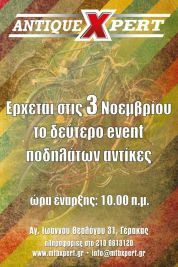 (Association of Friends of Sport in Gerakas). Alcibiades Spagkouros was born in Athens. He currently lives and works in Athens as a professional rescuer. His experience in difficult rescues in many remote areas in Greece is vast. He has traveled and explored the uplands as part of naturalistic activities. His great love is cycling and mountain running with a lot of racing experience and many awards. 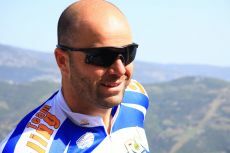 Alkiviadis Spagouros has a lot of experience in the area of Pindos and this makes him the most suitable person to have in "Bike Odyssey" after he has crosed the route as planned in the eight days race. 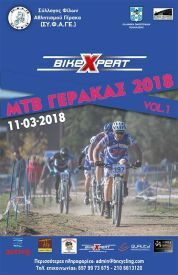 Bike Expert is a bike store located in Gerakas on the 31th Agiou Ioannou Theologoy street, in Athens. Bike Expert organizes mtb races like “Bike Odyssey”. 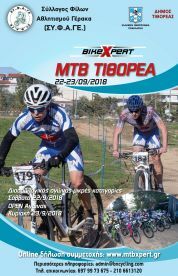 At the same time, they take part in other successful bike events like Mtb Circuit Gerakas, Ladonas Mountain Race, Parnitha Adventure Cup, Antique Xpert, Bicycle Hunt Treasure while also being a sponsor in many other sport events. Bike expert specializes in two things, in the restoration of vintage – retro bicycles and also in the organization of “Bike Odyssey” where every year a unique journey of bikes takes place in Pindos. It comes as no surprise that after many successful years of races the team of Bike Expert is very well trained on everything regarding the race. 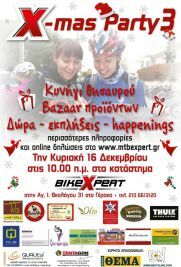 Also, you can visit our e-shop at http://www.bikeexpert.gr/ for anything you may need for your bicucle! B & N Cycling is a website with a journalism tone through which people who love bicycles are can get the latest news on them. It is also a communication sponsor for the "Bike Odyssey" broadcasting the race the race from its preparation until after its completion. It goes without saying, the B & N Cycling Team is a group of people with extensive experience in cycling and nature. The team already was established in 2005 and since then there is a dynamic presence in domestic competitions and events in other countries as well. Apart from their active presence in races, team members have experience in organizing mtb races and athletic events. Also, you can visit the http://www.bncycling.com/ site for your daily briefing about cycling. 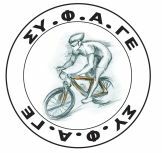 "Gerakas Friends Association of Sports" as the name suggests, moves around sports i.e. 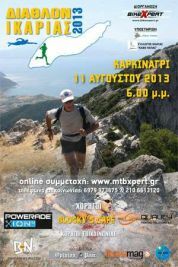 sports activity mainly concerning mtb races, mountain running, multisports etc. all around Greece. The website is behing popular races and events. Mtbxpert's has a great experience in organizing races, events focusing on cycling.